Cellos are very delicate instruments that can get scratched or broken very easily due to their size and weight. 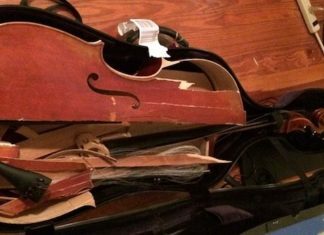 Even if you are extremely careful with your cello, storing and carrying it in a cello bag may lead to damage if the cello accidentally bumps into a wall or drops. That’s where hard cello cases come into play. We’re going to talk about the best hard cello cases that are available on the market. 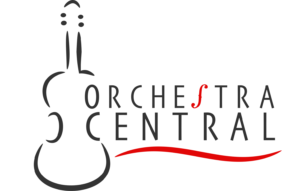 When picking your cello case or gig bag, consider how you will be carrying your cello and how often. 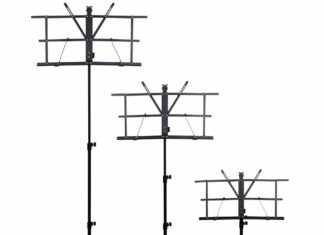 If you fly a lot buy one of the hard flight cases below. If mostly bike or walk, the lightweight Accord cello case or gig bag is probably best. If you just need a high-quality cello case, the BAM France case will suffice. With that in mind, let’s get to the best hard cello cases and gig bags. The Bam France 1001S cello case is our favorite cello case because of its superior protection. It was built with the traveling cellist in mind so it’s able to withstand damage other cellos would fail to protect. The Protec gig bag has superior padding and convenient storage for an affordable price. There are also straps all over for easy transportation. The Bobelock 2000W is a great universal cello case for any cello player. 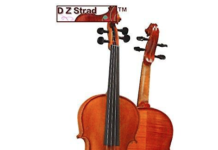 It is solid enough to stand a good beating yet affordable enough for most cellists. Bobelock is well-known for making musical instrument cases. While certainly not the cheapest case on this list, the Accord cello case is certainly the lightest. At only 5.8 pounds, this is a great case if you frequently carry your cello by hand or on your back. Another BAM cello case, but this one is specifically designed for flight. The BAM Flight Cover will fit over most other hard cello cases to provide an additional level of protection to your cello when flying. Evaluating all of the cello cases in the market can be difficult if you don’t know what to look for. So it is essential that you first understand the features that these cello cases have so that you can pick the best among them. Here are some of the features that you should find when picking the best cello cases. One of the most significant features that you should consider when picking out cello cases is the protection that they provide. 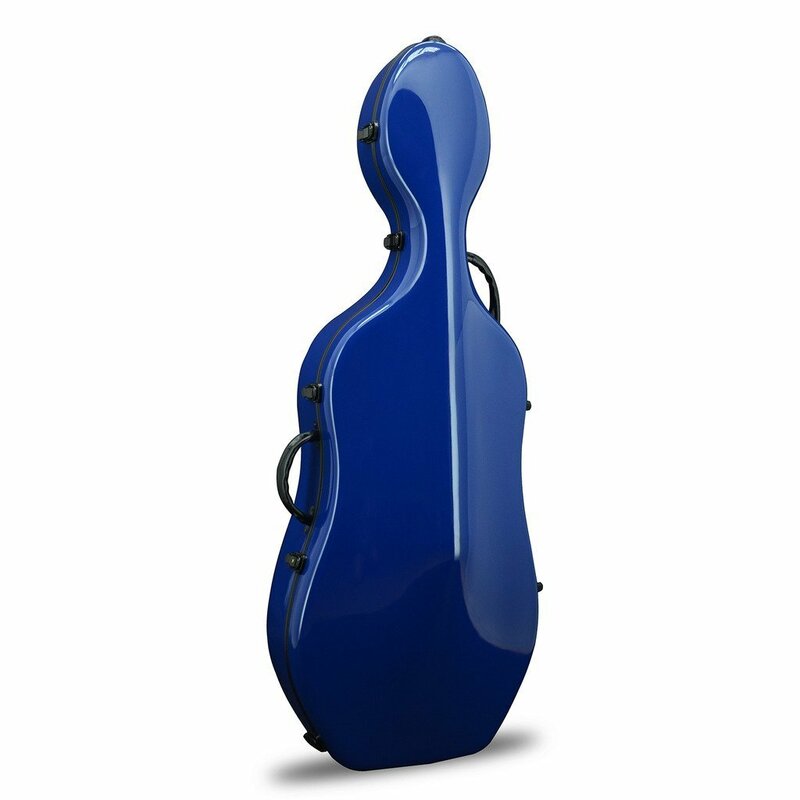 Usually, cello cases with a solid material provide a higher level of protection than those that are cloth-based. 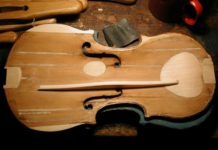 Most hard cello cases are constructed of fiberglass, wood, or compacted foam. If you travel a lot, you will want a stronger cello case to protect from damage. The suspension is another feature that you should take note. Cello cases with a higher level of suspension tend to lift the cello better so that its body would float inside the shell. 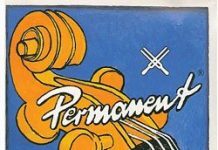 With a higher level of suspension, the cellos will not bump or pop against the case. 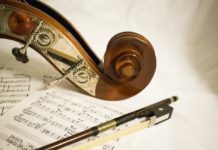 The features which are stated above are just some of the key elements that you should consider before purchasing a cello case. It should be noted that the ultimate choice will still depend on your preference as the player. We love the Bam France 1001S Cello Case because of its durability and weight. 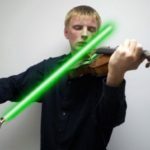 This is a great case for anyone having to travel with a cello, whether to school or performances. If you are a frequent airline traveler, the BAM Flight Case complements the 1001S perfectly. Our only complaint about the 1001S is the price. Normally selling for a little over $700, this cello case might be a little steep for those on a budget, but the protection you get from the case makes up for the price. We’d rather pay the premium for the case than pay hundreds or thousands of dollars in cello repairs. The Protec cello gig bag is our favorite gig bag because it’s not only durable but has a ton of storage as well. The tough nylon exterior is padded by 3mm of padding with non-abrasive nylex lining. The gig bag also comes with backpack straps so that you can it on your back if you choose not to carry your cello with one of the many other straps on the bag. 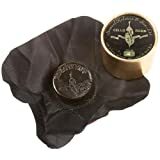 The Crossrock case comes with everything the cases above have with the addition of a handle on top that makes wheeling the cello around a lot easier. This case has also been pressure tested up to 300lbs so you can be sure that your cello will be protected. Additionally, it’s extremely water resistant so you can feel safe that if you get stuck in a torrential downpour, your cello will be perfectly fine. A favorite among cello players, this cello case certainly features a lot for its price. The exterior of the case is made from fiberglass which is unusual for a cello case priced so low. This Crossrock cello gig bag is both stylish and protective. Made with the quality only Crossrock can provide, this gig bag has everything you need to protect your cello from scratches and dirt while transporting it. It has multiple pockets for storage including bow, accessory, and sheet music pockets. The gig bag comes in both a Deluxe and Standard model so you can get a gig bag within your price range. As the lightest cello case on this list, coming at only 3 pounds, the Featherweight is certainly deserving of its name. Despite being extremely light, this cello case has plenty of protection. The exterior walls are surrounded by sturdy foam with wooden frame reinforcements for extra reinforcement. The heavy-duty ballistic nylon exterior cover adds an additional level of protection and creates a waterproof layer. The Accord cello case is a great choice for those who travel a lot and need to carry their cello on their back. At only 5.8lbs, this case is light enough to be carried backpack-style, yet has a 40 kilo crush resistance to effectively protect your precious cello. If you can swallow the price tag, this is a great case for frequent travelers. If you want a great cello case for traveling, but the BAM travel case is too expensive, the Travelist TL-20 makes a great alternative. This cello case is not only inexpensive at less than $200, but also durable enough to protect most cellos during flight. While we don’t recommend using this case for professional grade cellos (use the BAM Flight Case mentioned above), it serves as a great option for most other cellos. The case has amazing protection considering it only weights 9.8lbs. 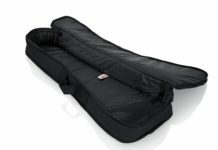 The cello case is filled with lightweight high-grade foam and covered in heavy-duty ballistic nylon. The interior is lined with plush blue-grey velour and has room for two bows. It also contains a hygrometer to measure humidity and shoulder straps for easy carrying. Another great cello gig bag at an affordable price, the Superior C-3918 Trailpack has luggage-grade 600-denier black ballistic nylon exterior with 12mm padding which gives it protection against wear and tear. The interior is covered in soft red flannel to safely protect your cello. The pockets on the exterior provide ample storage for your accessories. 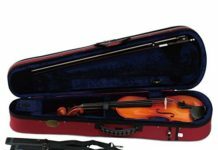 Tonareli is a well-known string instrument case manufacturer. In this designer gig bag, Tonareli has gone above and beyond the traditional requirements of a cello gig bag. This gig bag comes with 20mm thick padding ensuring complete protection of your cello, 2 cello bow pockets, a large sheet music pocket, and backpack straps. The Bellafina ABS cello case is a great option for beginners who need an affordable cello case that comes with wheels, straps, and storage. The entire case is heavily padded and the package comes in at less than $150. The only downside to this cello case is the weight. It comes in at a little over 20lbs. Finding the right cello case can be a fun adventure. Each cello case offers its own benefits and design characteristics. With all of the cello cases on the market, you can easily find one that matches your style and personality. Remember, when you’re walking around with your cello everyone will see the case, not what’s inside. You want to make sure your case represents who you are.